2017 Is Here! And it is a very interesting year in the world of new (or old made new again) Baby Names! With television and movies making more of a impact on baby names more now than in any other time, 2017 will be the year of the ‘Game of Throne’ baby. Old school names are also going to be popular – but not the ones you might think! 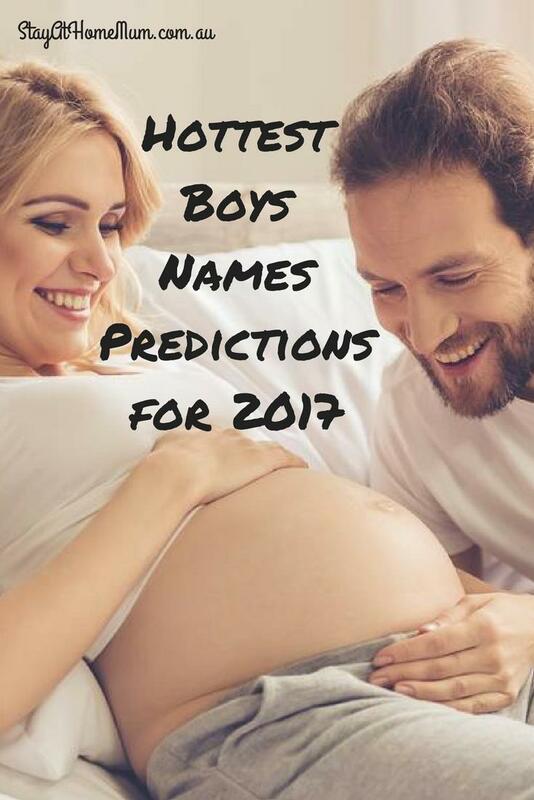 Here are Stay at Home Mum’s 2017 predictions for the Hottest Boys Names! Abel was presumably derived from the name ‘Hevel’ who was borne by the son of Adam but Killed by his brother Caine. The name was given in popularity from the Christendom during the Middle Ages when there was a cult that was ‘suffering innocence’. Abel is an old-fashioned but timeless name. The name Alastair is a derivative of ‘Alasdair’. This is a unique though pleasant name with a noble meaning. It is popular in many western countries and is considered a diverse name. Anderson meaning the son of Anders/ Andrew, which is associated with the Patron Saint of Scotland and the servant of St. Andrew. Anderson can be shortened to many different variations. Scottish interpretation meaning the ‘Bald’ which is referred to from the shaven head of a monk. The name Archie was first introduced during the time of the northern conquest. This is a popular name now in modern generations and is quite quirky. The name atlas is from a titan derived from Greek mythology as he was punished by Zeus to endure being forced to support all of heaven upon his shoulders. This name has an interesting meaning and backstory to how the name was founded and spread across the continent. The Arnold from Greek Mythology was a musician who was a member of the court of Charlemagne. When the name was introduced to Britain it was in the form of Arnaud. Over time the variations of Anaud developed into Arnold which has become a popular and masculine name. Derived from the Medieval time in the form of Augustine. Austin is an extremely popular name with a nice tone to it. The name can be a unisex name but is mostly given to boys. Bear is derived from the name Bernard. Usually used as a nickname or shortened from middle names. This name is usually used from the traits of the mammal the bear, Strong with heart. This is a friendly and gentle name.